How to maintain Dickson® awning fabrics? 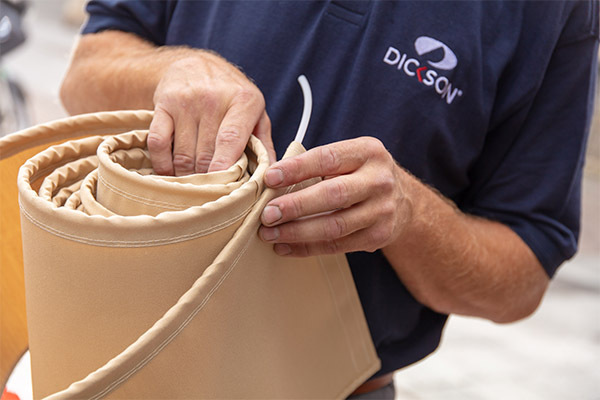 Dickson® fabrics are ideally suited to outdoor use. If users apply the following recommendations, they should not encounter any particular problems. 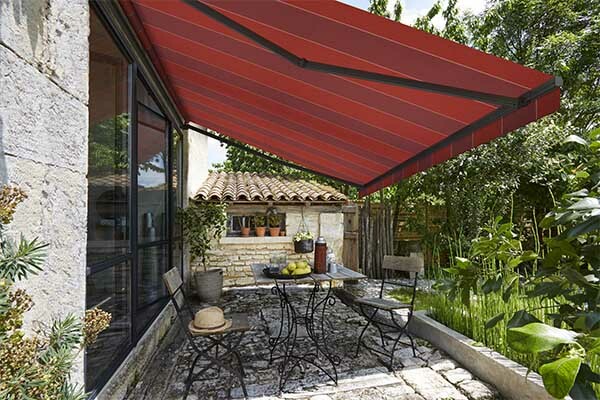 Position the frame of your awning so that the fabric is perfectly taut and does not rub against another structure. Keeping the awning taut also prevents water retention after rainfall. Do not leave the awning extended in high winds. You may keep the awning open in the rain but, if wet, do not retract it for long periods. If you need to retract your damp awning, extent it again as soon as possible to dry out the fabric. 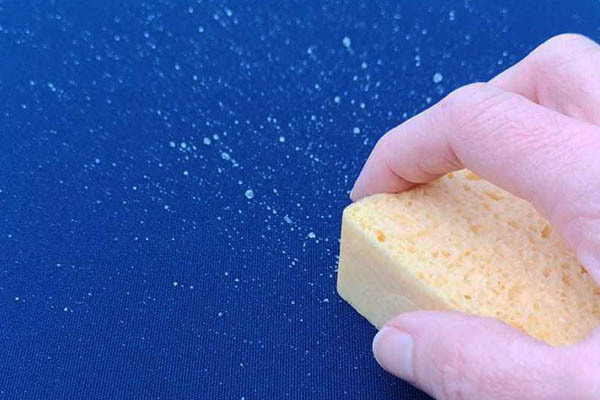 Remove light stains with soapy water. Do not use detergents, high-pressure hoses or scrub the fabric for extended periods. The outdoor world is a source of inspiration and your awning plays an important role in your decorative scheme. Modernize your exterior and bring out its personality by simply changing your awning fabric. After years of exposure to wind and rain, an awning fabric can become damaged or stained. Replacing an awning is an easy and inexpensive way to change the fabric while keeping your awning frame. It is simpler, faster and more cost effective. Fabric replacement is a sustainable solution because you only replace what is absolutely necessary, leaving you free to enjoy your garden, winter or summer, protected by your new awning. 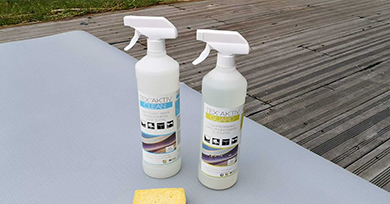 For deep cleaning, use Tex'Aktiv Clean.This product is a powerful stain remover that will eliminate the most tenacious tasks.